Weapons test is designed to show Iran is ready for any Israeli, U.S. strike on Iran's nuclear strike. Iran successfully test-fired a domestically made anti-aircraft system, the country's English-language Press TV reported on Monday. The mid-range system ... is capable of intercepting targets at a range of 50 kilometers (30 miles) and can fly at an altitude of 75,000 feet," the report on Press TV's website said. As Israel makes increasing hints it may launch air strikes on Iran's nuclear sites, the weapons test is designed to show Iran is ready for any such Israeli or U.S. attack. An Iranian Revolutionary Guard commander, Brigadier General Amir Ali Hajizadeh, said at a military parade displaying the weapons last Friday that: "The system has been manufactured with the aim of confronting (hostile) U.S. aircraft." 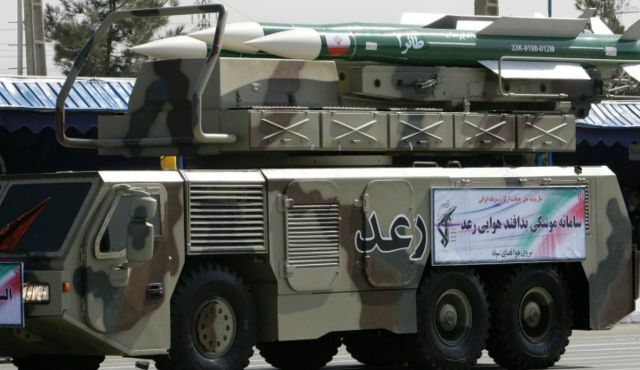 "The Ra'd air defense system is the first completely indigenous system of the Sepah (Revolutionary Guard), which has been designed and manufactured by committed Iranian technicians in the struggle for self-sufficiency," Hajizadeh was quoted as saying by the Mehr news agency. Hajizadeh, head of the Revolutionary Guards' aerospace arm, was quoted on Sunday as saying Iran might launch a pre-emptive strike on the Jewish state if it was sure Israel was about to attack. Iran began developing the system after Russian President Dmitry Medvedev banned the delivery of the high-precision S-300 air defense system to Iran, saying it would violate expanded UN sanctions. Iranian officials said after Russia scrapped the sale that Tehran had decided to build its own model of the S-300. 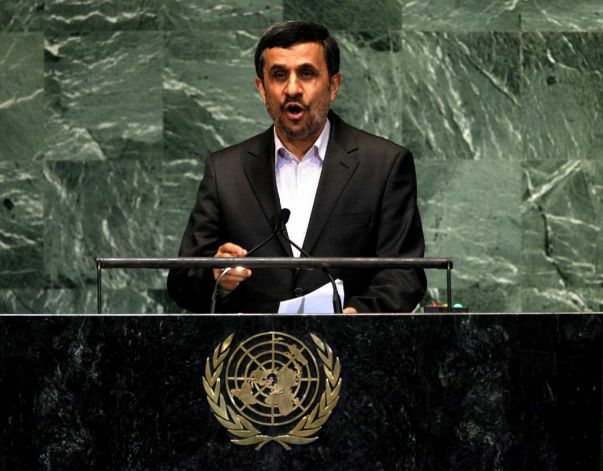 Ahead of his visit to the United Nations in New York, Iranian President Mahmoud Ahmadinejad told the Washington Post that Iran did not take seriously Israeli threats of an attack on its nuclear facilities. Israeli Prime Minister Benjamin Netanyahu has criticized U.S. President Barack Obama's position that sanctions and diplomacy should be given more time to stop Iran's nuclear program, increasing speculation of Israeli military action ahead of U.S. elections in November. Tehran denies it is seeking nuclear weapons and says its atomic work is peaceful.